This women's CrossFit muscle tank features a playful graphic on the front for casual pop. 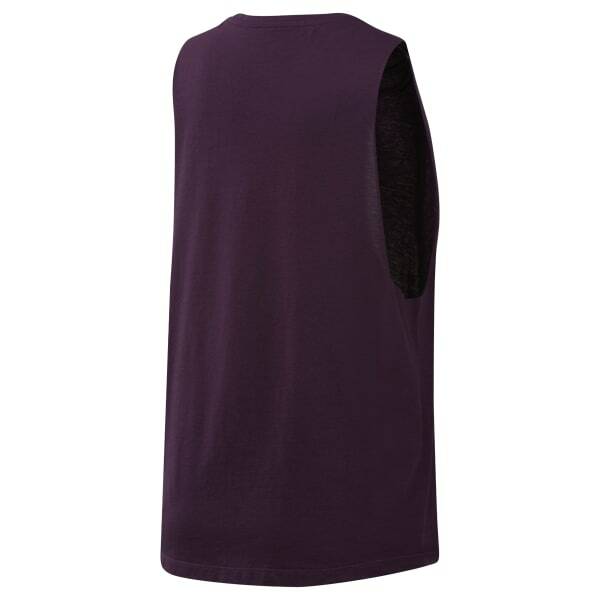 The sleeveless tee is made of flexible, lightweight cotton for a soft feel and everyday comfort. The relaxed fit offers room to move.